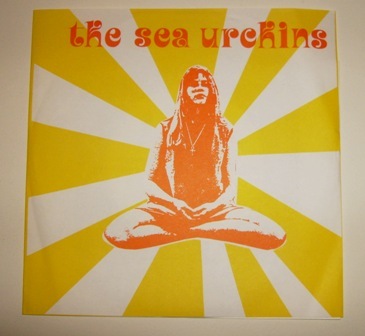 The Sea Urchins was one of the best bands on Sarah I think, together with Brighter and The Orchids. Just like bands such as East Village and 14 Iced Bears they were closely linked to the 60's garage scene. I've got a live bootleg where they play two covers by The Eyes e.g.. As they became more dedicated to pursuing this influence people started to turn their backs on them and they had to find other labels to release the singles. Still, the Sarah singles collection Stardust is one of the greatest records of all time. After the second Sarah single however, the made a short detour to Fierce (The Pooh Sticks' label) for the release of a one-sided 45 (Fierce were known for trying to get as much money as possible for as little as possible). This single is quite rare, I assume. It hasn't even got a name. All it says is: Recorded 30.10.88. It's a dazzling song, really sounds as if it'd been recorded in 1966.
is there any chance you could repost this one? the link is dead. i haven't heard this song in about 15 years and always loved it.